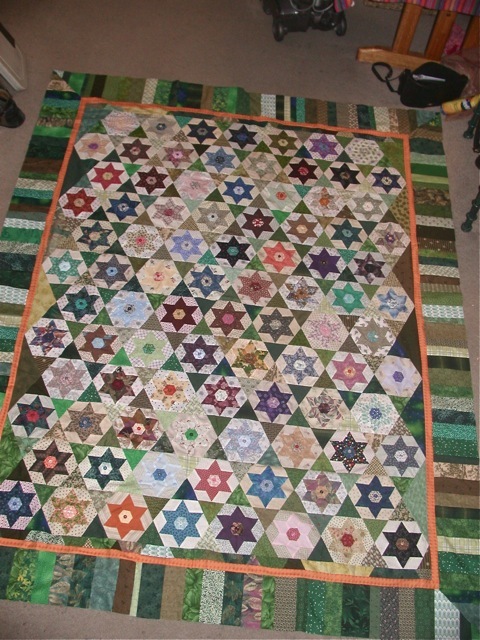 I have been plugging away at the last drunkards path/fairy frost quilt. It’s kind of been putting me to sleep, so I haven’t been posting. 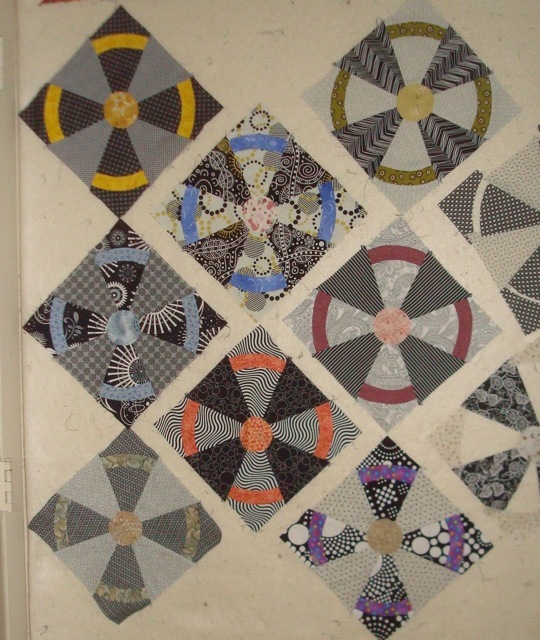 Another reason I haven’t been posting is that I went to visit my Mom and snuck into her studio to photograph her in-progress (has been for quite a few years) Baltimore Album-style quilt she calls Pittsburgh Album. I believe she expects it to be 25 blocks in all, but she keeps making them and then saying others are not good enough. Sound familiar? I guess that’s where I get it from! 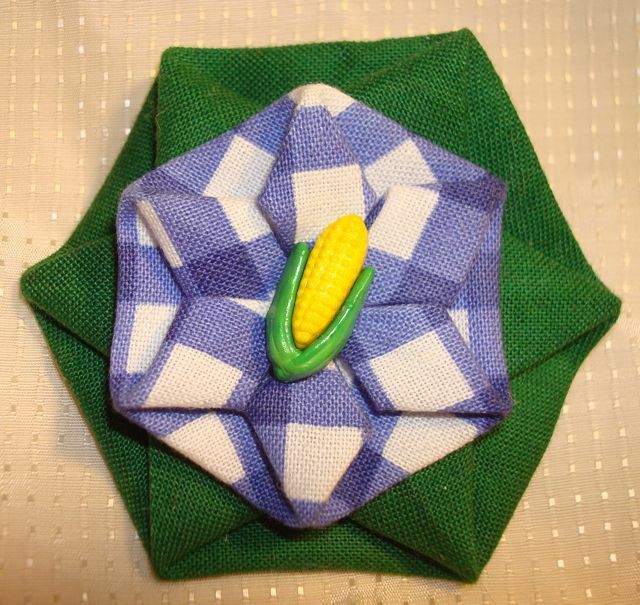 Anyway, here’s some blocks from Mom’s Pittsburgh Album: And here’s something I did that was nestled in Mom’s blocks: I hear some people’s moms save their kindergarten refrigerator art… oh gosh, do you think she saved that, too??! 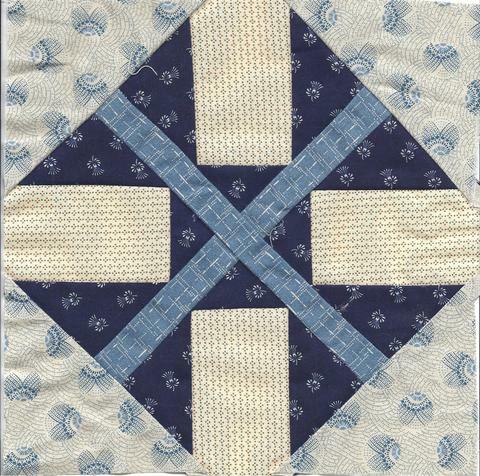 These are all the blocks I am going to make from Barbara Brackman’s Grandmother’s Choice blog. I’ll keep reading, but no more blocks! I’ve been looking over my Excel Spreadsheet of projects and realized that I haven’t finished ANYTHING this year. It’s been a banner year for me in terms of piecing creativity. I’ve bounced from project to project with barely any downtime. 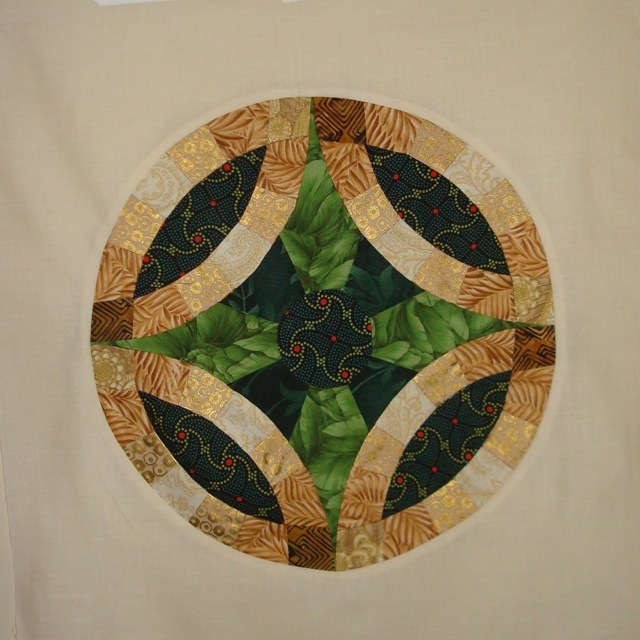 The problem, of course, is my “downtime” is the actual FINISHING of the projects: the designing of quilting motifs, the marking, the actual quilting, etc. So, as I reflect on the first half of the year (easy for me to do as the beginning of June is my birthday), I realize that unless I take myself by the hand, I will continue to start lots and finish nothing for the rest of the year. 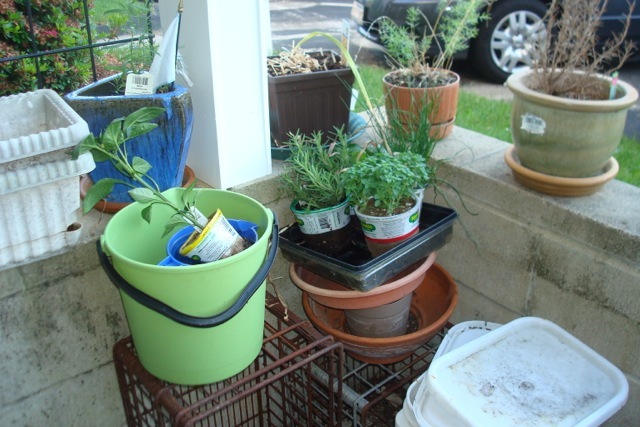 Can I count finally being able to start my patio garden as one of my projects? 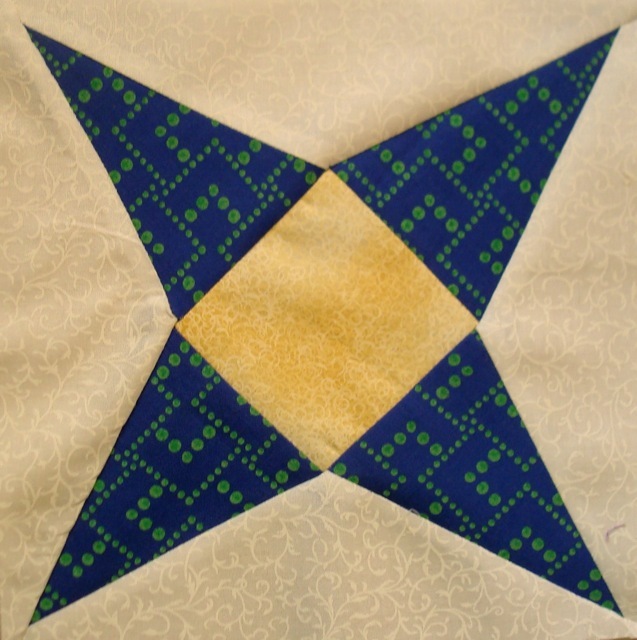 I’ve decided that I’m going to try to name a few projects and “priority projects” so I can at least give lip service to my “word of the year” (from Quilting for the Rest of Us/Sandy’s blog.) Mine was completion. My Heart is in the Work has been “in the works” for many years. 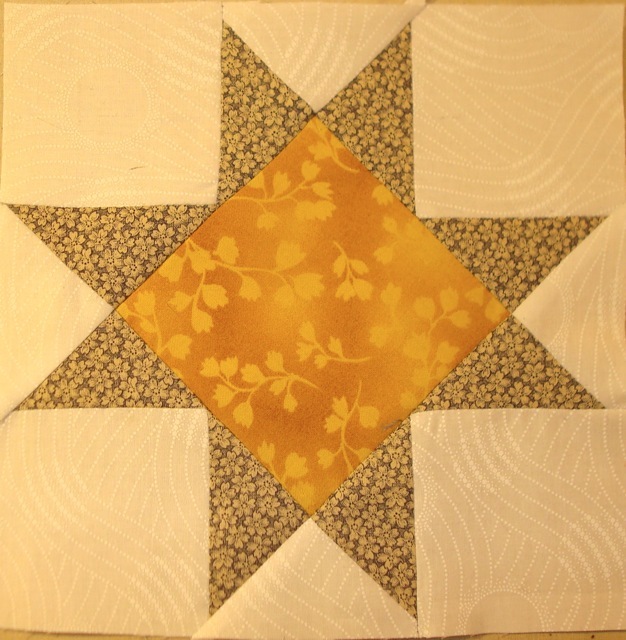 Finish the Sunflower Lattice top. This is pretty much a given as I’ve only got the center seam to sew, but every now and then you have to throw yourself an easy one. 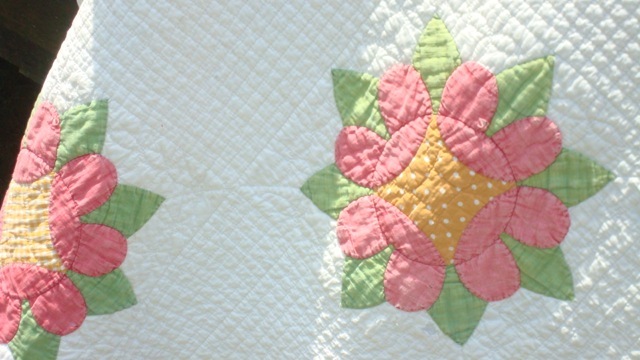 Turn my Grandmother’s Choice blocks into a top: add sashing/border, etc. 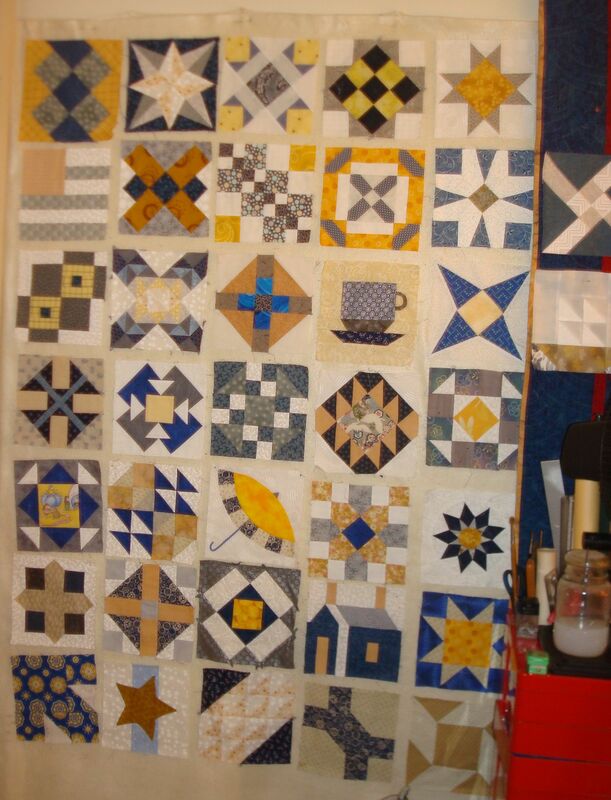 I’ve got it up on my design wall and am happily switching around the blocks to see what order I’m going to put them together. Continue hand-piecing Stars for Malcolm whenever I travel. I don’t foresee any level of completion for this project, but I really like it as a traveling/hand project. 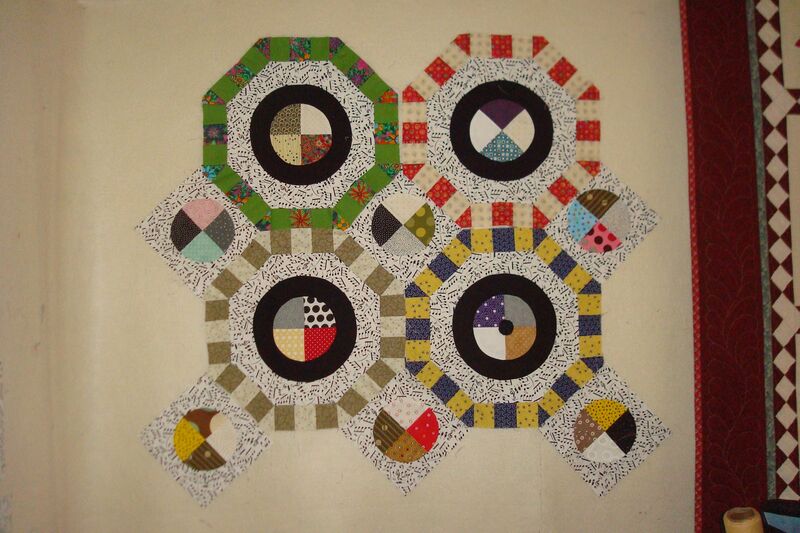 Depending on my travel schedule, maybe I’ll decide I have enough hexagons to call it complete by the end of the year. 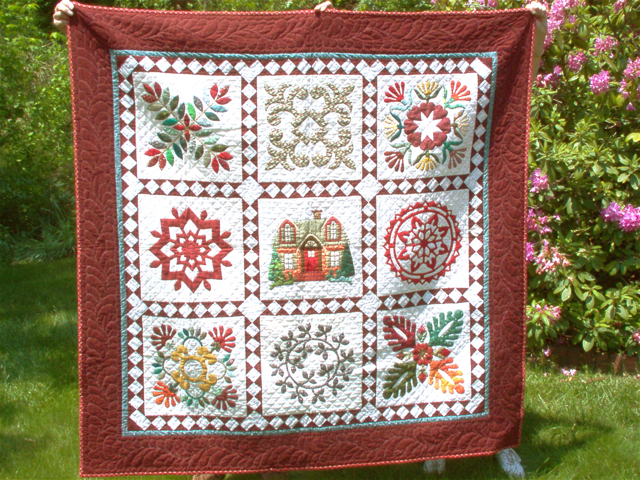 Design, mark and quilt the top I made from the Xmas block exchanges from the original “Dear Jane” list. 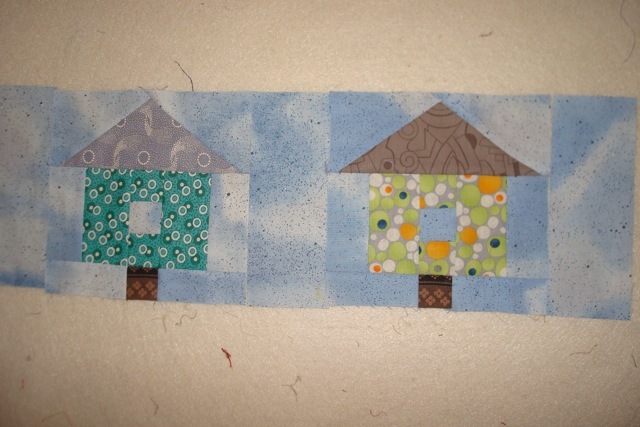 It’s been a while and I did finish the Spring blocks, so it’s entirely possible for this one to get done-done. 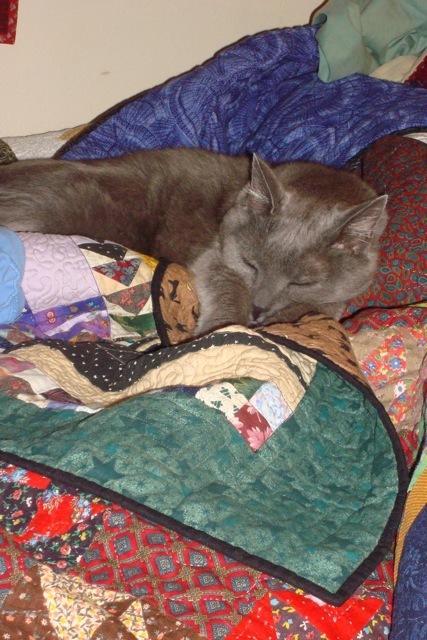 Finish The Quilt That Shall Remain Nameless. 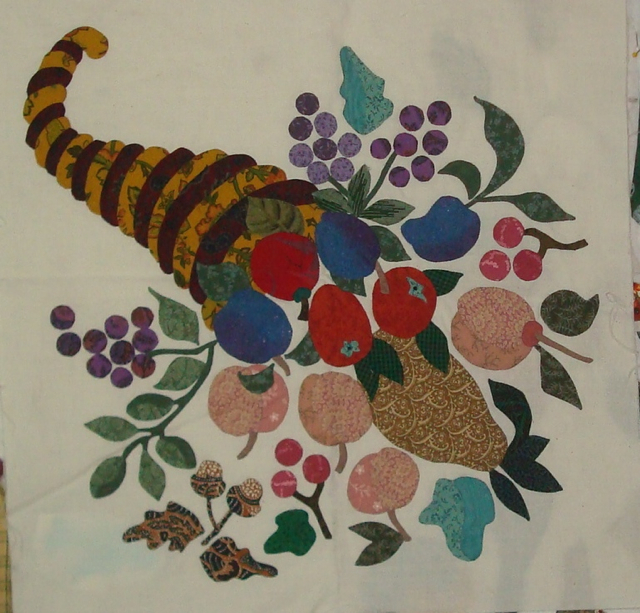 If I hurry I can get it done before the pattern is published, but, really, how likely is that? Speaking of “Dear Jane,” I would like to get my version, My Heart is in the Work sandwiched on the long arm. 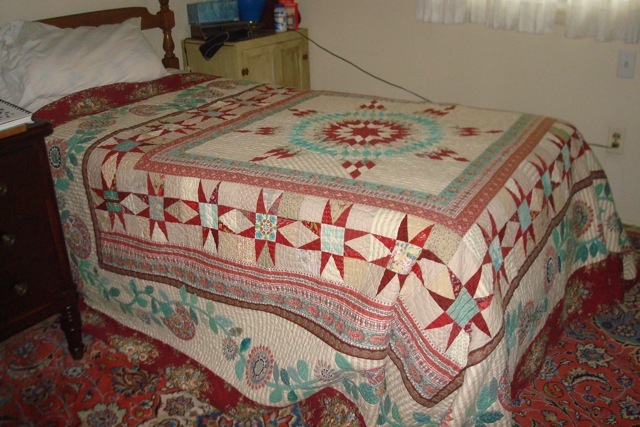 Mom said she was having so much fun quilting my sister’s (which was actually made by Diane’s mother-in-law) that she asked if I wanted her to do mine as well. Like I’m going to pass that offer up! 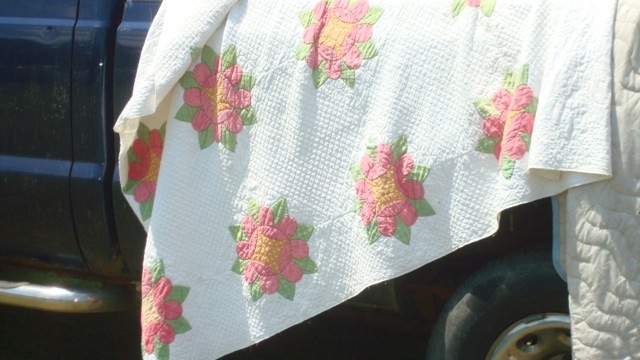 I am planning on starting to hand quilt Starina. 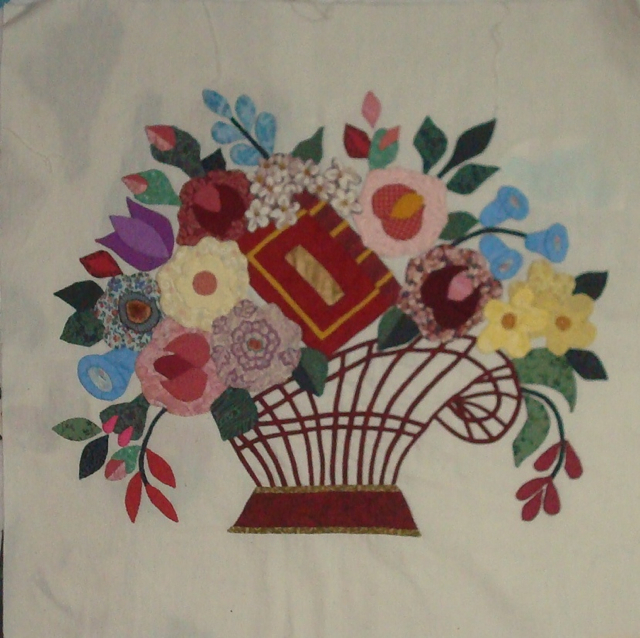 I just need to piece a back for her, so I think I will use some of the yardage hanging in my closet. Remember how I told you I wasn’t going to buy any more fabric after the end of February? Well, that didn’t work for me. 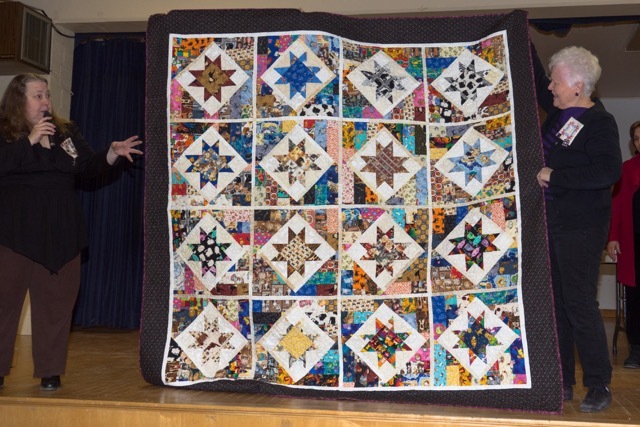 At the March meeting of my Quilt Guild, the stash of one of our members (now deceased) was being sold off with the proceeds being donated to several charities, including out Guild’s operating expenses. 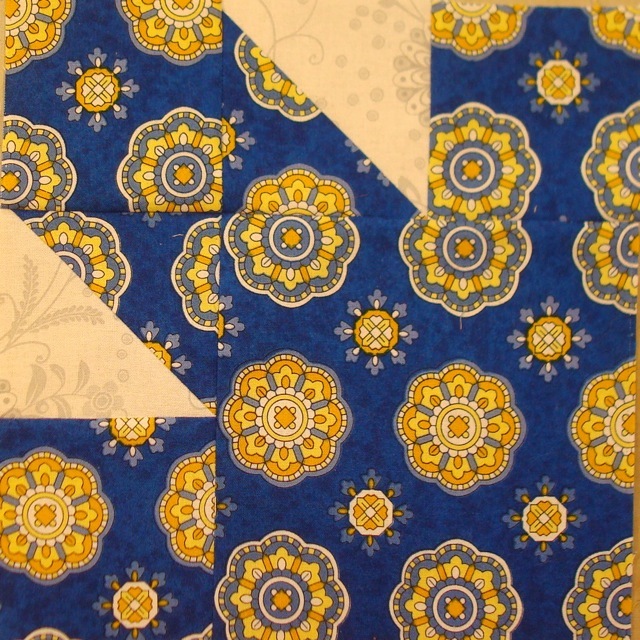 I did not go crazy, but I did buy 3 pieces of yardage (total of about 10 yards.) This, of course, led to me contemplating my projects and realizing I haven’t actually finished anything so far this year. 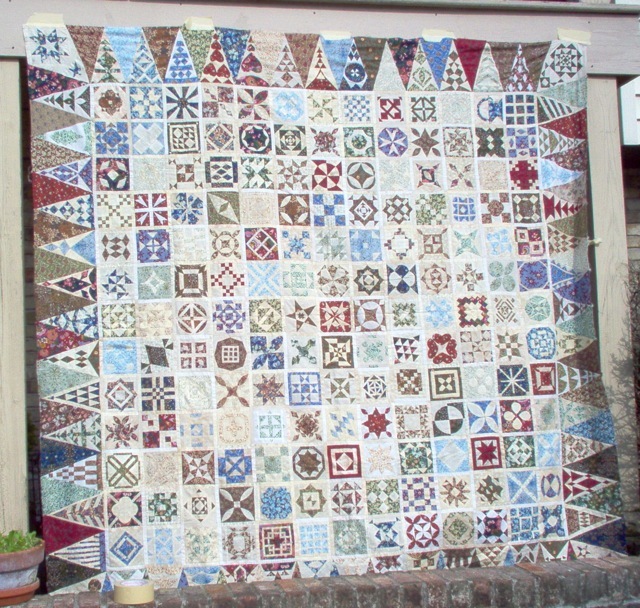 So, I’m going to take some of my new yardage, piece a back, and set Starina up for hand-quiltling. 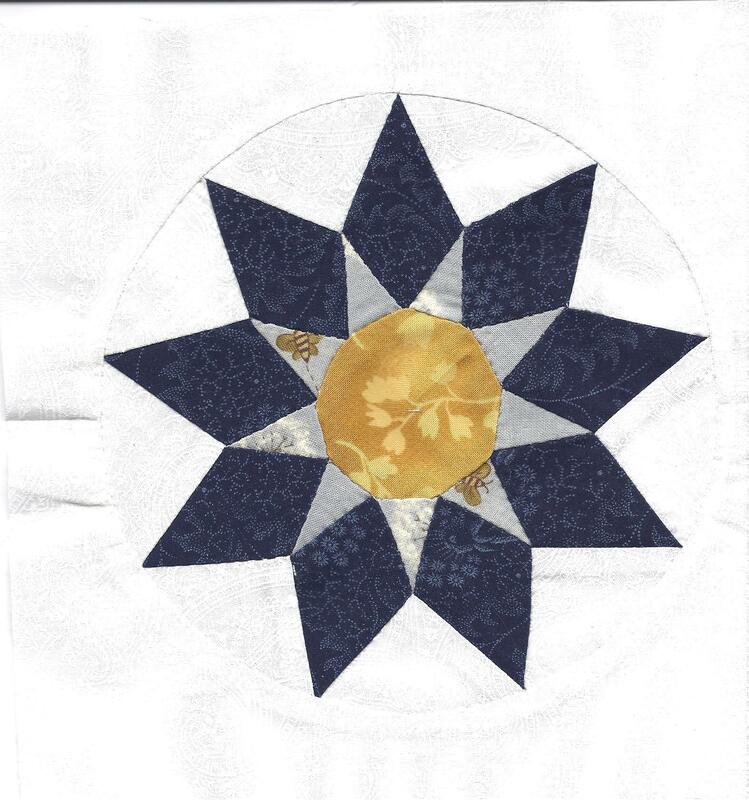 The reason I decided to hand-quilt Starina is that each of those stars has a folded flower at the center, and each folded flower has a button in its center. 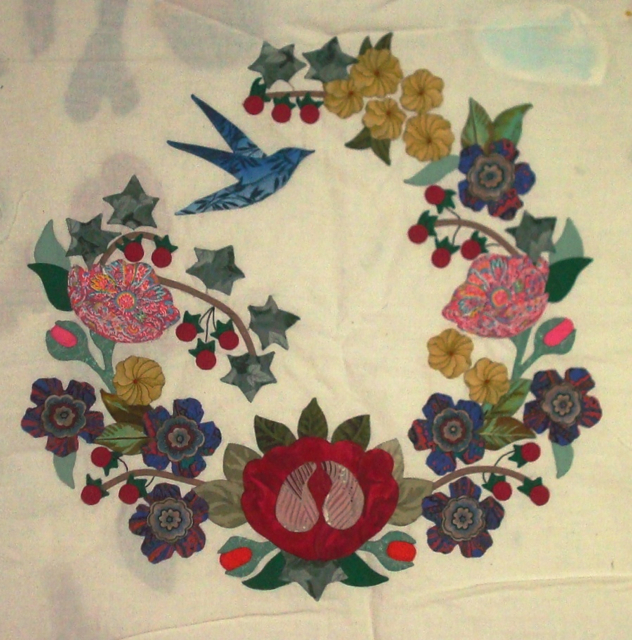 I figured I’d go insane trying to keep from running over a button with a sewing machine or a long-arm. 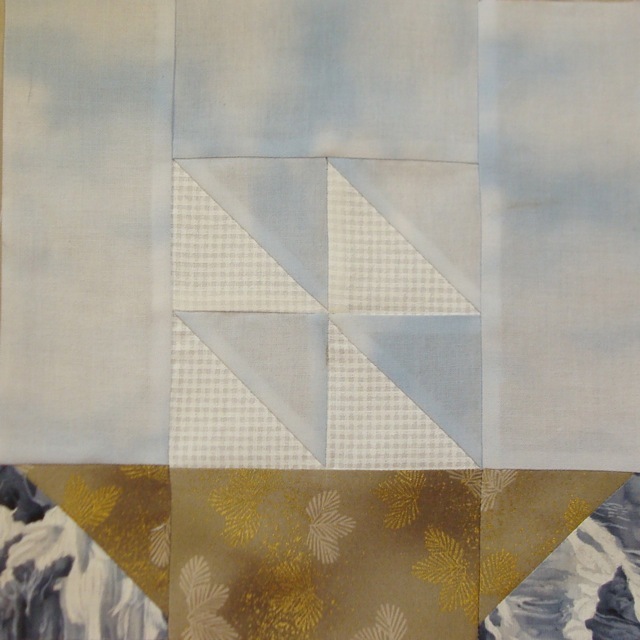 I should have chosen a fabric more contrast for the sky when I made this block to substitute for week 29 of Grandmother’s Choice. 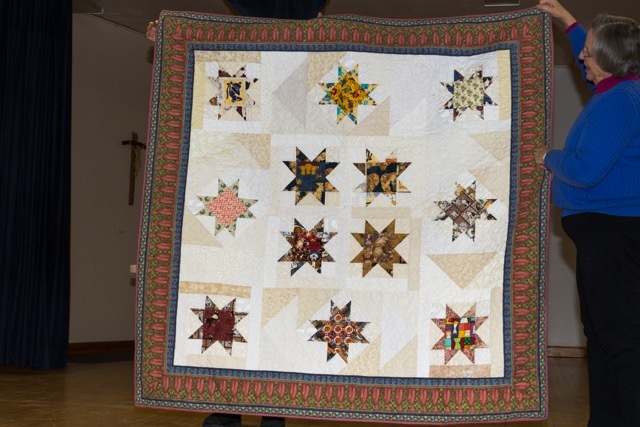 Block 30 from Grandmother’s Choice. 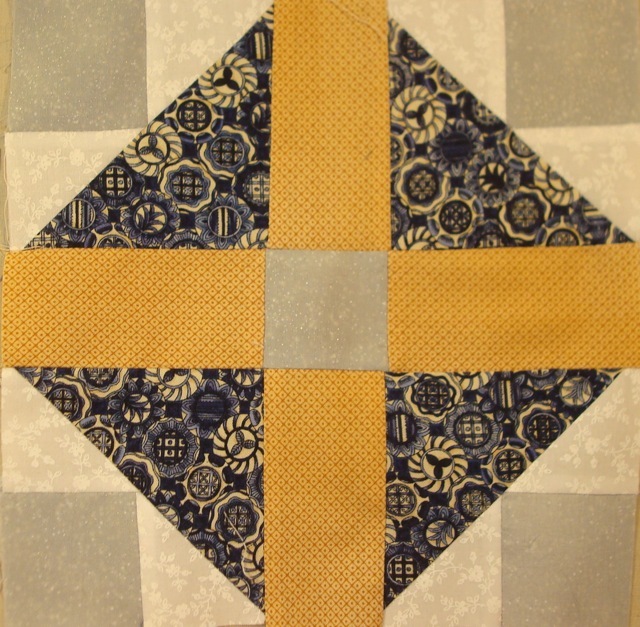 I guess I’ll work off that guilty feeling by squeezing in some quilting! This is how I will always think of my Dad and Mom. Sorry for the lull in posting. I wish I could say I was busy with preparations for the holidays, but the truth is much sadder. My father passed away on December 3 of cancer. 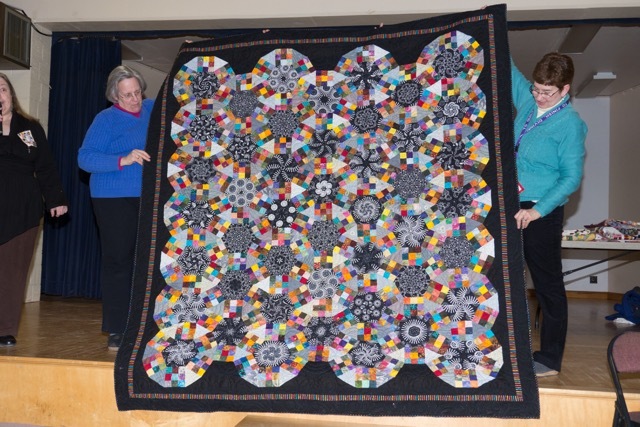 I have mentioned him on this blog in the past when I discussed my favorite quilt, Learning Curve. There was a very short time between his diagnosis and when he left. The Prayer and Remembrance gathering was on December 7. It was a nice service, short and full of meaning. 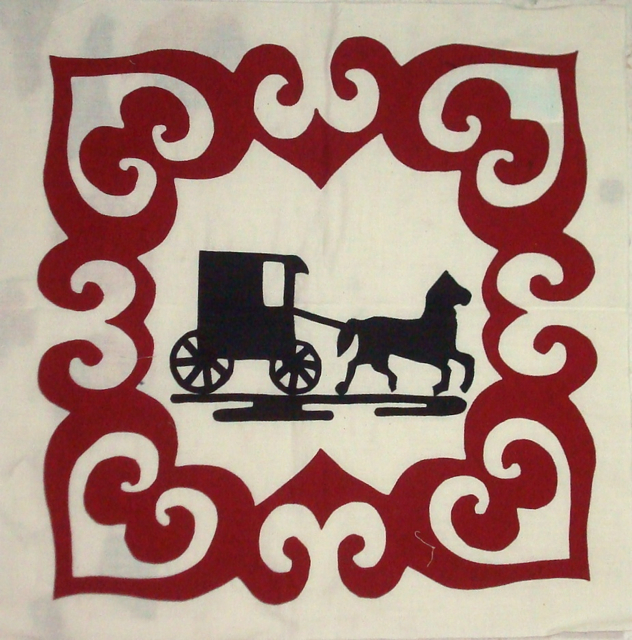 My aunt and uncle (my Dad’s brother) came in from Massachusetts (where I live, also), and one of the interesting tidbits I picked up was that they are a “quilting couple” as well. 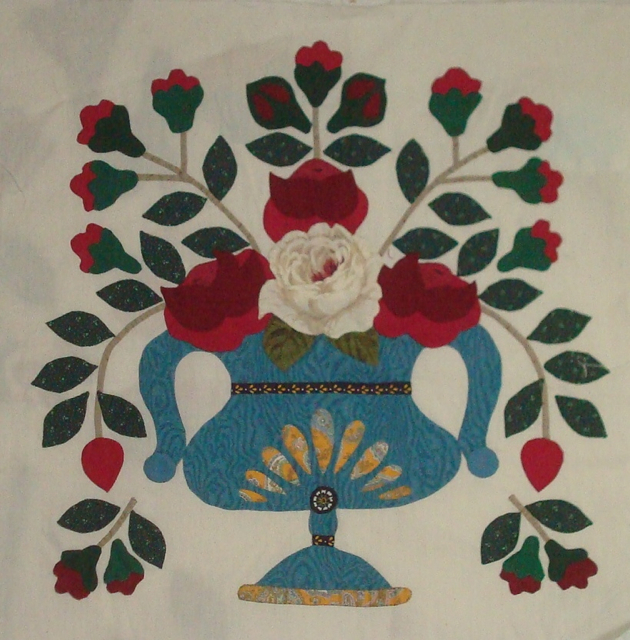 One quarter of an applique quilt my Mom quilted and my Dad drafted. 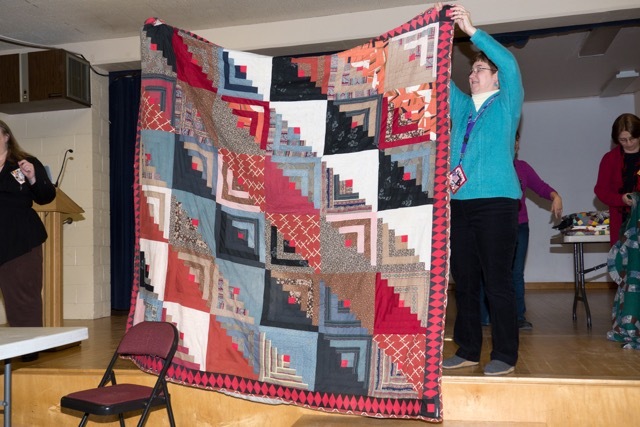 We had two of the quilts that Mom and Dad had worked on together on display at the gathering. 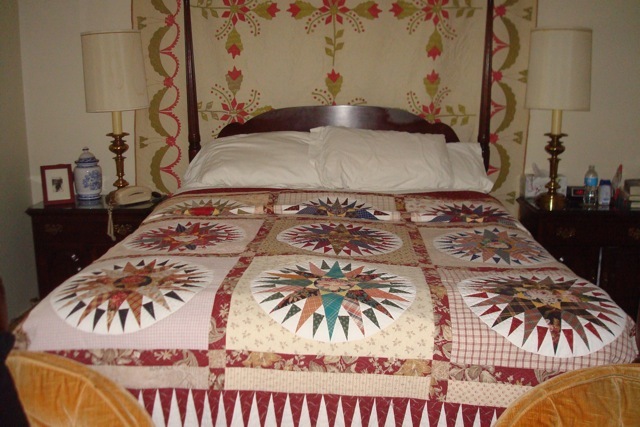 I don’t think I realized how much Dad had to do with the design of the quilts. 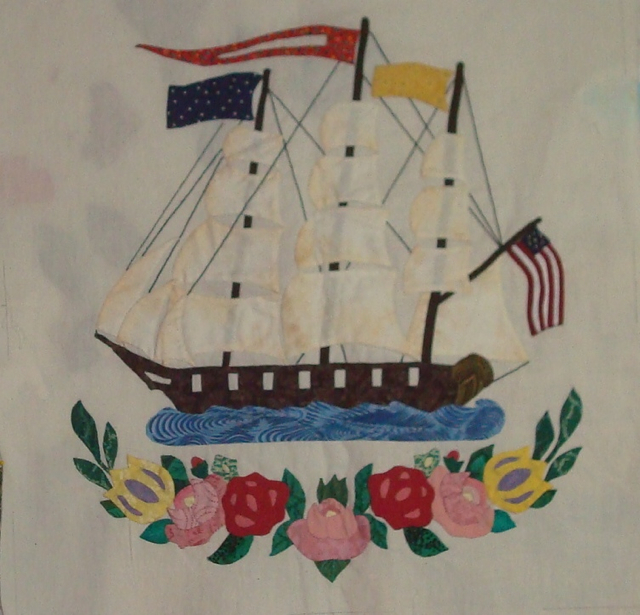 My mother would pick what she wanted to do and the size she wanted it to be and Dad would draft the design. 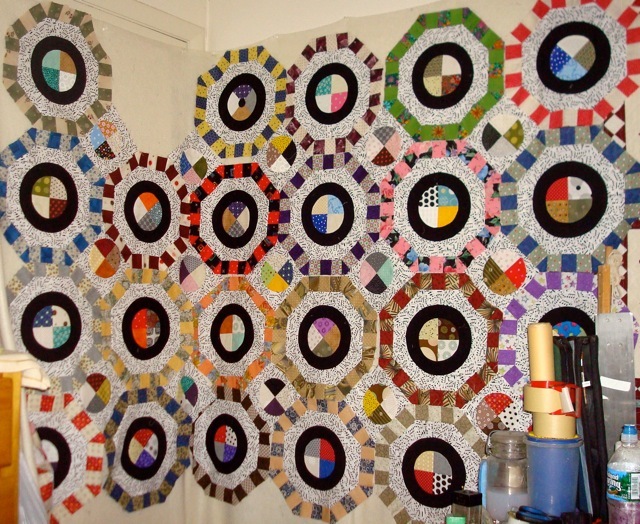 Then, she would make it, choosing the colors and coming up with ideas for the quilting. 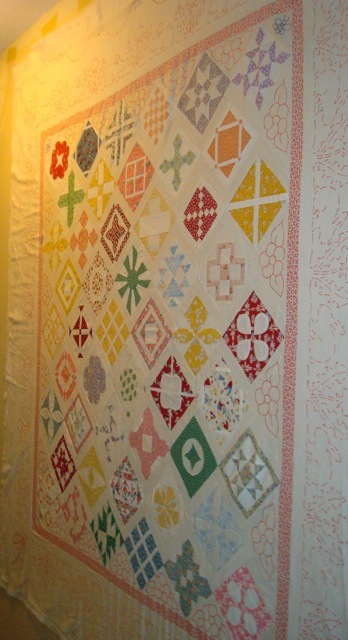 He would then draft the quilting and mark it so she could quilt it. Mom wanted these arcs to form circles. Apparently, it took some fiddling by Dad to make it all work out. 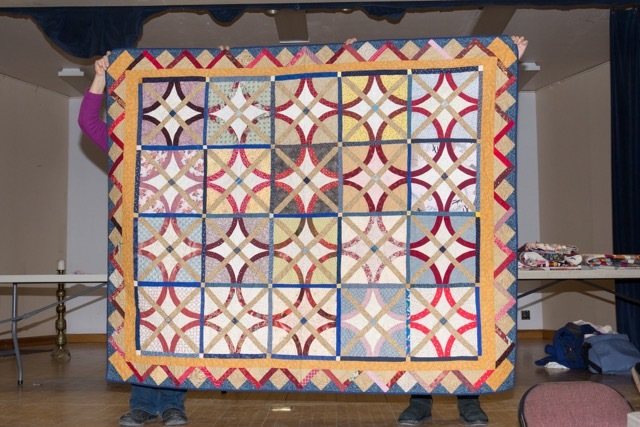 This is one of my favorite of their quilts. 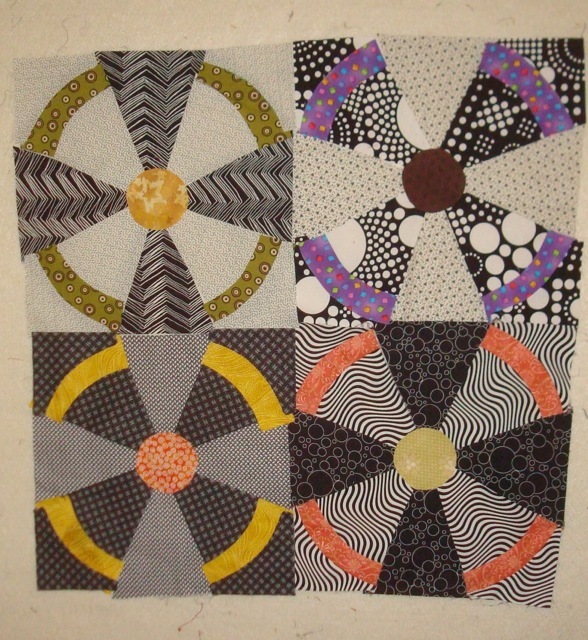 Mom liked the arcs but wanted the quilting to just be circles. 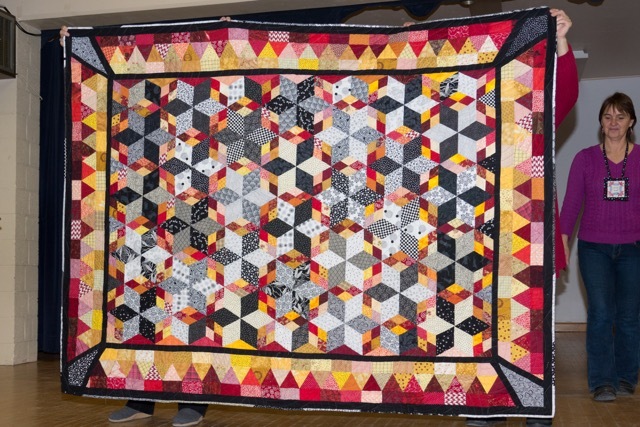 If you look at the back of this quilt, you can really see what Mom was getting at: the quilting pattern shows no blocks at all, just arcs and feathers. I guess I was just lucky to inherit both the sewing/choosing gene AND the drafting/marking/cutting gene so I can do it all by myself. I hope everyone has a nice Christmas (or whatever you celebrate.) I hope to be posting again weekly before the New Year.